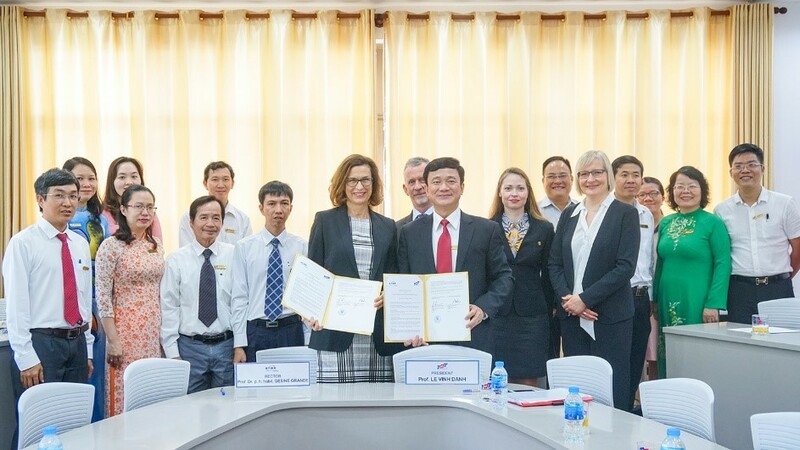 Following the direction of the President on developing cooperation with universities in Western Europe, the European Cooperation Center discussed with Leipzig University of Applied Sciences (HTWK Leipzig - Germany) and invited the HTWK Leipzig Delegation and German enterprises visited and worked at Ton Duc Thang University on December 6, 2018. Prof. 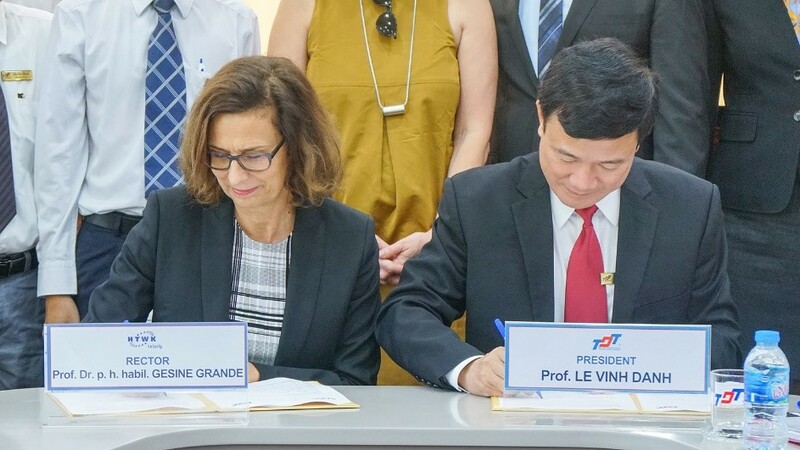 Le Vinh Danh, President of TDTU discussed with Prof. Gesine Grande about the possibilities of cooperation between the two universities in science-technology and education such as: participating in the implementation of joint research projects, organizing scientific conferences, exchanging students and lectures as well as developing the curriculum for undergraduate and graduate two-phase programs concurrently awarding two degrees. Leipzig University of Applied Sciences was founded in 1992; there are currently about 6,000 students enrolled in undergraduate and graduate programs. This is one of the largest universities of applied sciences in Germany. 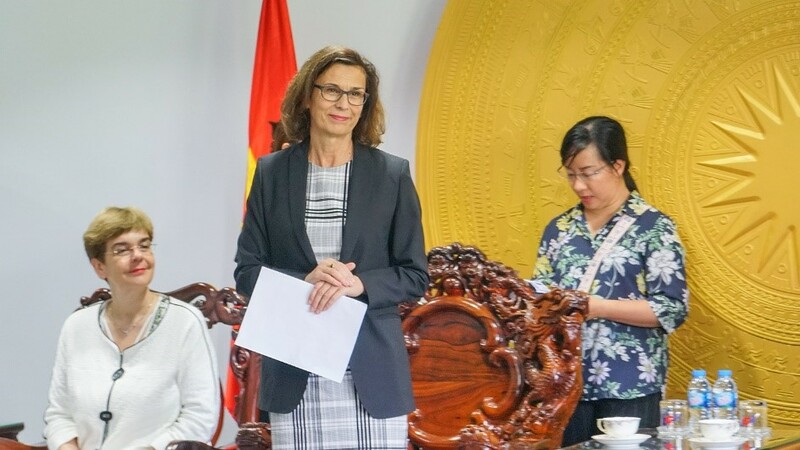 Prof. Gesine Grande and other delegation members expressed strong impression on the rapid development and professionalism of TDTU. 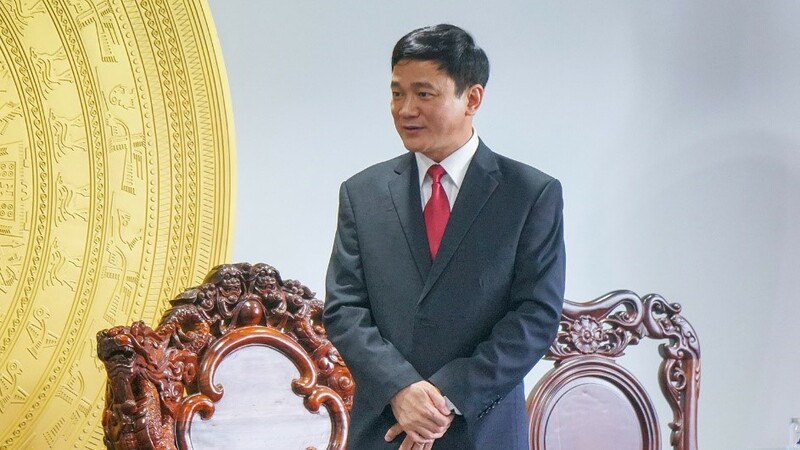 Concurrently, they desire to efficiently accelerate the cooperative activities that the two sides have signed. 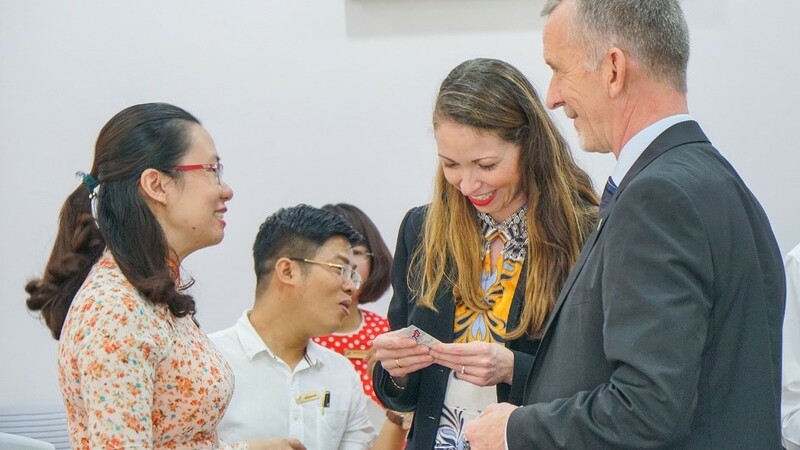 It is interesting that although Leipzig University of Applied Sciences is ranked 580-590 in the world by QS and ranked 126-150 in Europe by THE, Rector of the University of Applied Sciences Leipzig still commented that TDTU is superior than her university in many aspects. 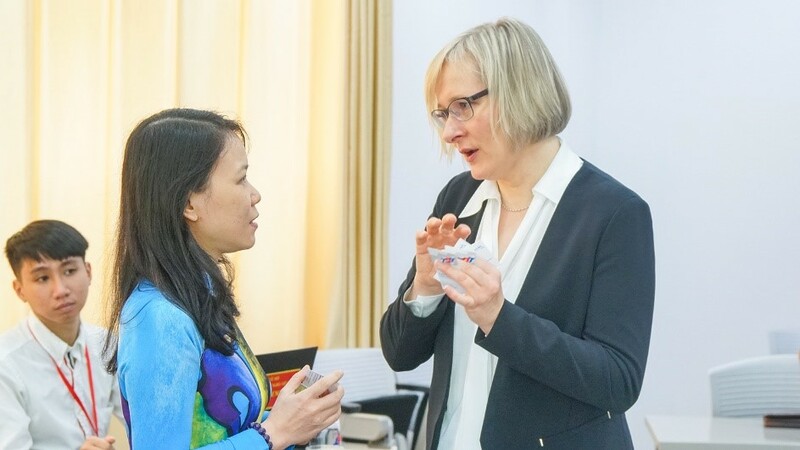 Dr. Phan Dao Talking to Leipzig University of Applied Sciences representatives on potential areas of cooperation.